Three cowbell setup with ViseClamps that can be used together or individually for smaller setups. Reintroduced by popular demand, the LP Tri-Bells began their life when the smallest bell was found in an antique shop and tuned to blend with our Tapon Bell (the medium size) and the Black Beauty Sr. (the large size). 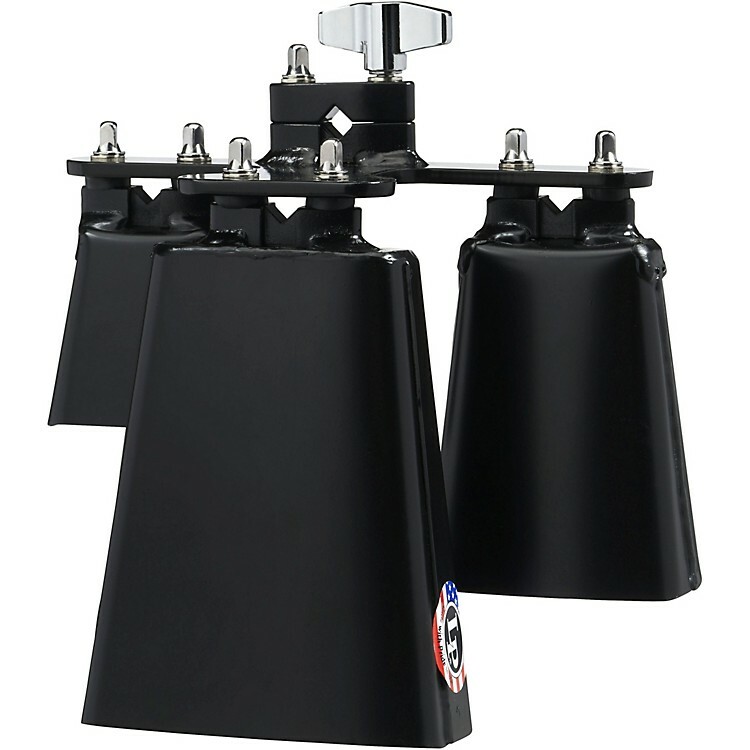 The melodic blend of these bells has long been a favorite with percussionists from all genres so LP upgraded the set to include the patented Vise-Clamp on each bell and mounting them to a sturdy steel bracket with a cushioned mounting system to eliminate cross-talk between bells when any one is struck. Bells can be removed from the bracket to fit 3/8” to 1/2” diameter rods for single cowbell use. Made in the U.S.A.